Lock in a great price for Kensho Boutique Hotel and Suites – rated 9.2 by recent guests! The staff was over achieving everything we asked for! Thank you for all the great staff at kensho, they kindly deserve a huge pay raise! The room and staff.. Very stylish and complete hotel..
We were provided a complimentary upgrade to a suite upon our arrival. The staff was very warm and welcoming. Loved the atmosphere of hotel and bar. Dinner at the hotel restaurant was also amazing! The overall design and decor of the hotel. The excellent food. Both breakfast and the a la carte are very well presented.It's location a couple of minutes walk to Ornos beach and the associated water front restaurants, bars etc. Aesthetically the hotel is really beautifully done. The manager was very helpful and the location was good. Bar drinks were delicious and the bar man that made them was really knowledgeable about his product. We enyoyed so much. Rooms are cozy and comfortable. Staff is amazing. Julia and the hotel manager is perfect. Fine dinning restaurant is spectacular. Brekfast is amazing. Swimming pool is perfect. Design hotel enspired by Miconian style, very special romantic atmosphere, rooms are so charming and attractive that we didnt want to leave from there. Nice and close to Ornos beach and nice lounge beach clubs. Our trip in Mykonos was just perfect because of the hotel staff that was amazing resolving all our requests. They arrange the transportation perfectly from one place to another even at 4 am- big thank you to Alex on the night shift. Rooms are great, comfortable, amazing design. Pool is great and the spa wonderful. It was my second time in this hotel and for sure NexT year i will be their guest again. Congratulations to all Kensho team! Kensho Boutique Hotel and Suites This rating is a reflection of how the property compares to the industry standard when it comes to price, facilities and services available. It's based on a self-evaluation by the property. Use this rating to help choose your stay! 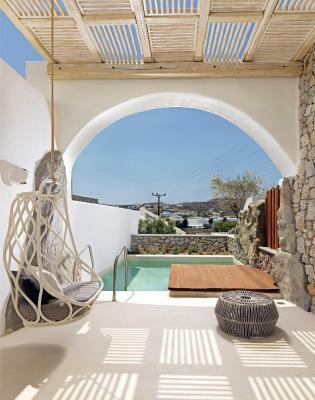 One of our top picks in Ornos.Combining luxury with traditional Cycladic touches, Kensho Boutique Hotel and Suites boast elegantly designed units with state-of-the-art amenities within a 1-minute walk of Ornos Beach. 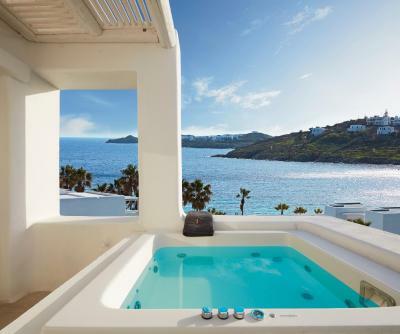 Some feature their own private pool, while others are equipped with a private hot tub. Free WiFi is available throughout. Bright and airy, each air-conditioned room and suite features a bathroom with a spa bath, as well as free luxury Hermes bath amenities and is equipped with a hairdryer. Most of them open to a furnished terrace with magnificent sea, pool and mountain views. There is a seating area in every room, along with a flat-screen LED TV, a Nespresso machine and an iPad with unlimited access to music lists and the Kensho app which allows you to contact with all hotels departments instantly. 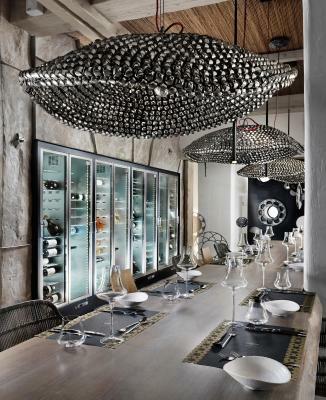 The awarded gourmet restaurant of Kensho Boutique Hotel & Suites enjoys Ornos beach views and offers Greek and Mediterranean cuisine with fresh and local ingredients from all over Greece. Embrace in a laid-back atmosphere, sophisticated lounge experience at the famous Kensho bar where the experienced mixologists offer signature cocktails and refreshing drinks. Relaxing moments can be enjoyed at the property's hammam. 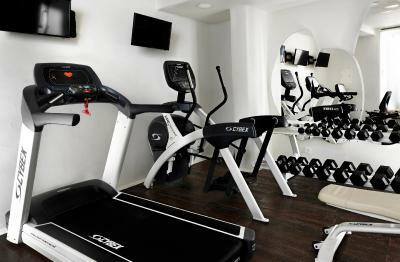 The more active ones can use the on-site fitness center. The spa has a make-up artist and a hairdresser, and offers beauty, face, body and nail treatments. The hotel also offers car hire services. 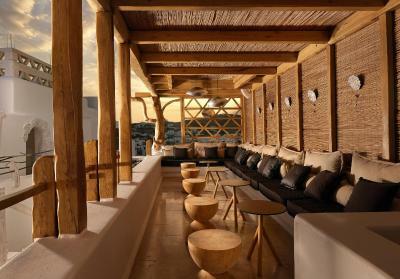 The cosmopolitan center of Mykonos, featuring an array of premium boutiques and high-end restaurants, lies within 1.9 mi of Kensho Boutique Hotel and Suites. Free transfer to and from the town is provided. The lively Psarou Beach is at 1.9 mi. Mykonos Airport is 2.5 mi way. Free private parking is possible on site. 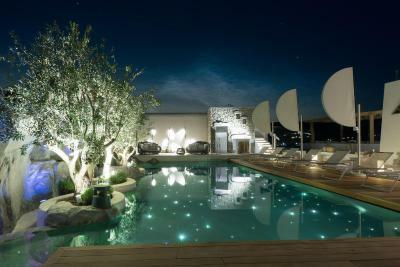 When would you like to stay at Kensho Boutique Hotel and Suites? Offering a flat-screen, satellite TV, this air-conditioned and elegantly decorated room has a mini-bar and a coffee machine. It features a bathroom with slippers, hairdryer, bathrobes and free toiletries. Kindly note that this is an interior room with no view. This room combines traditional materials with cutting-edge technology. 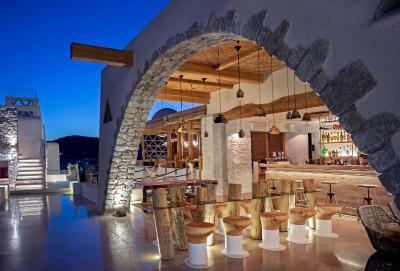 It opens out to a terrace with a private hot tub overlooking the pool, the sea or the mountain. A subwoofer and weight scale are also provided in the room. This room features simple architectural lines and opens out to a spacious outdoor area with plunge pool. Subwoofer and weight scale are also provided in the room. With the presence of the Yoda chair, but also with the color balance achieved with the vertical wooden blinds in the bathroom, Junior suite offers relaxing interiors. It opens out to a private pool, and also features a subwoofer and weight scale. The impressive light fixtures form space differentiation, while the visible roof and the intense presence of wood warm the space. The suite maintains its overall minimalistic architecture and has a a spacious outdoor areas with hot tub. Subwoofer and weight scale are also provided. 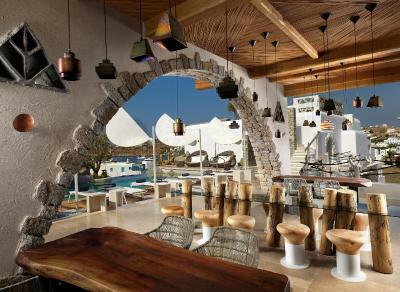 This suite combines the strong presence of construction materials with the amazing view of Ornos Bay. The traditional fixed bed embraces the space and creates the appropriate balance needed. It opens out to a spacious outdoor area with hot tub, while chromotherapy shower, subwoofer and weight scale are also provided. 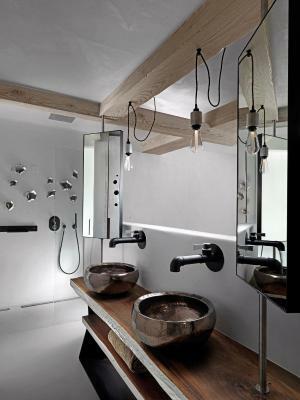 House Rules Kensho Boutique Hotel and Suites takes special requests – add in the next step! Any additional older children or adults are charged EUR 150 per night for extra beds. Kensho Boutique Hotel and Suites accepts these cards and reserves the right to temporarily hold an amount prior to arrival. 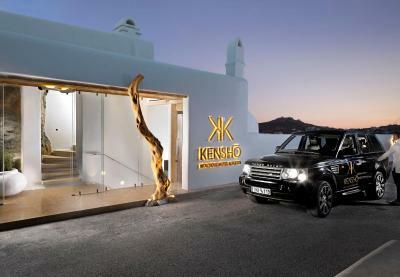 Kensho Hotel offers to its residents complimentary shuttle service to and from Mykonos town all day up to 00:00. Guests are kindly requested to provide a credit card upon check-in for guarantee purposes. Please note that for reservations made until 21 October 2018, regarding stays from 7 October 2018 to 22 October 2018 (check-out 22/10/2018, discounted rates apply to spa treatments and spa products. The spa we had on our balcony never got warm. They tried fixing it 3 times but no luck. My room was a total disaster. I stayed in a Zen Room. The room is described as an internal room with no views. Having stayed in hundreds of hotels I was expecting something akin to the room looking into an internal courtyard area rather than sea views. What I was presented with was a room with 2 full length windows looking directly into one of the hotel passageways with both clients and hotel staff walking past. 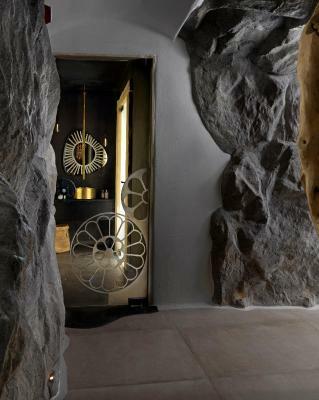 This meant to achieve any privacy the window shutters needed to be closed at all times giving a 'cave like' atmosphere. The designer shower (next to the bed!) had no effective shower screen and flooded the bedroom floor area each time we used it. The room was advertised as being 290 sq ft but this included an open plan shower and wash area resulting in a much smaller bedroom than I would normally book. Wardrobe space consisted of an 800mm length rail with 7 hangers and two small draws each 75 mm deep. There was no space to open a case unless you had the cases on the bed or on top of the small sofa. After 4 nights Juliet their customer liaison representative moved us to their other hotel Kensho Psarou. The room there was excellent. The 100 euro charge per day for using the hotels beach sun beds was not! Our room was next to reception and was noisy in the morning. Overall a very expensive trip. Arrived at the hotel with only a trainee in charge - no management on site, it was 10pm. Moved rooms 3 times in 4 days. First room was dirty with flies everywhere and was incredibly damp and smelt really bad. Second room was beneath the top pool and all we could hear all night was the loud hum of the generator which resulted in me not sleeping and having a headache. Third room was very noisy due to it being underneath the bar area - so as you can imagine, the moving of the chairs, the running of taps and another strange noise that I heard all throughout the night - which resulted in me not sleeping that night either. This was the day we had decided to find somewhere else to stay if they couldn’t relocate us in the hotel anywhere as we were told from the very unpleasant and rude Guest Relations Manager that there were no other rooms available BUT miraculously after finally speaking with the Manager - there was a room that was available. A very nice and quiet room. We didn’t book a balcony with a pool because we never use them but he did put us into a room with one which was a nice touch. We were not looking for a free upgrade - we were just looking for a relaxing stay with a good nights sleep - I think that’s what we all expect when we pay €600 per night.... I was really disappointed with the turn down service - something so simple but with this hotel was something very basic. Fresh towels yes but a simple change of the crockery and glasses is expected for a 5star boutique hotel. You had to call up and arrange fresh ones to be delivered to your room - perhaps something they need to look into. No iron or board in the room, phoned reception both times I wanted to use it. First time the iron came but no ironing board. Second time no iron came at all. Small things like this I suppose magnify when they all happen together simultaneously - so it was just very frustrating and boring for these small things to keep on happening. Could have been cleaned better. 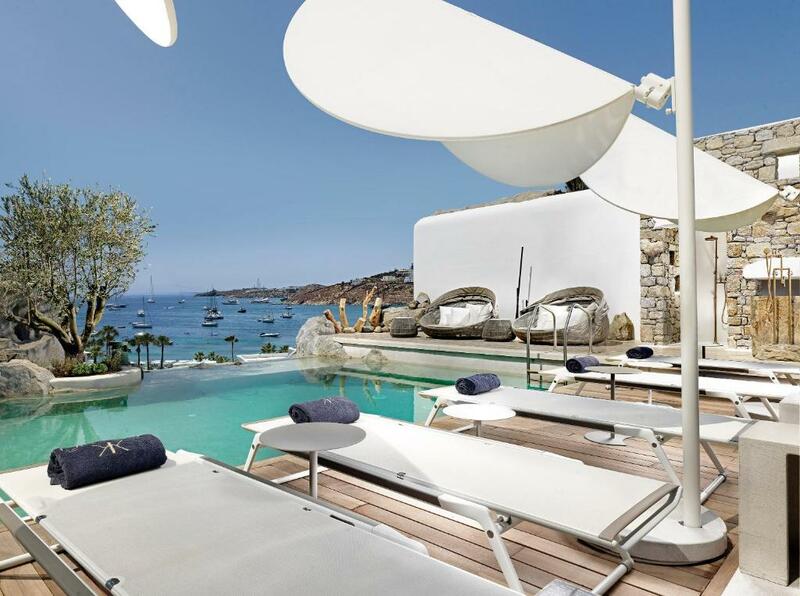 There is a very small common place therefore you cannot spend time in the hotel and the outside services like the other hotels in Mikonos ate poor. Although the treatment received from the spa was very good, that spa itself is small and has no relaxation room. Beautiful cozy hotel! Modern and new! Every staff member was extremely helpful and friendly! Location! Friendly staff! Nice breakfast! Nice facilities! Great location, close to the beach, Amazing service - the hotel staff were absolutely brilliant, no request was too much for them. Kensho has a beautiful contemporary vibe with many interesting and gorgeous architecture. The real stars and beauty of the hotel however are it’s team who are simply outstanding. Over the years we have been fortunate enough to stay in a few boutique hotels which are lovely but have people working there that have the knack of making you feel they are doing you some kind of favour by letting you stay there. Not so the Kensho. The team knew I was there for my birthday and made sure that myself and the 18 people on the group were not only made welcome, but also appreciated and special. They genuinely wanted us to have the best best time. Special thanks to Juliette on front desk team who seems to know everything and anything about where to go and who to speak to on the island. And checked in with us daily to make sure everything was good. Not in a robotic, ‘I need to do this check’ but an authentic ‘I want to help make this the best time for these guys’. Also to the gentle unassuming breakfast team of Sakis and Khristos who could not do enough. And finally Dimitrious on the front team who was so happy to see us every morning and get the Gen on the precious nights exploits. All in all just a supreme stay experience. Go.